A full membership is one who has paid full membership fees. The rights of a full member include voting privileges and ability to hold office. Associate membership is open to all scientists with interest in the society’s activities but have not paid for full membership. An associate member doesn’t qualify to stand or vote for any office but will enjoy other benefits that the society offers. 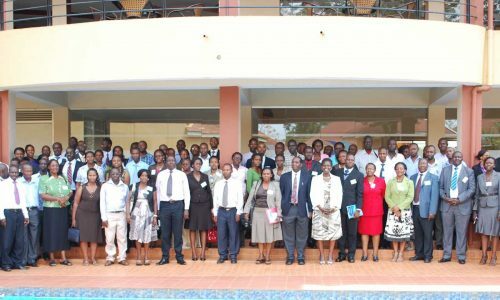 Uganda scientists who have made significant contribution to the health field will be specifically invited to be honorary members. An honorary member does not qualify to stand or vote for any office but will enjoy other benefits that the society offers. A onetime membership fees as determined from time to time by the general assembly shall be paid for full and associate membership. In addition, all members will be expected to pay a yearly subscription as determined from time to time by the General Assembly at the beginning of each membership year i.e. 1st October.